Dictatorship disguised as democracy, how do we know? Talking about democracy and obeying the will of the people who voted them in to office and in the mean time covering up the truth, disguise one's intentions and acting as a dictator. This is how I see America (and Europe), and it hurts! A beautiful country with nice people who liberated Europe in World War II, but whit what intentions I ask myself now? Is it part of a long running plan to come to one world government? How many wars have been declared by 'Big Brother America' to free other countries from dictatorships? A wide variety of leaders coming to power in a number of different kinds of regimes have been described as dictators. The definition of a dictator regime is, absolute, imperious, or overbearing power or control. The 9/11 lies were put in place to fast roll out more control of the world population. It is said that forced vaccination champagne would complete this plan with the implants of nanochips without the knowledge of the majority of people. Germany and the Russians did use fluoride in the water supply to make prisoners stupid and docile! What do we still see in many 'developed countries? Fluoride in the water! The medical system is thoroughly corrupt, unscientifically marketing of unsafe medications are the number one killer in the world. Governments are trying time and time again to enforce people to take vaccines. Why? Ask yourself this question but a fact is that the pharmaceutical industry never ever shown, double blind prove vaccines do work. The monetary system(s) made a turn beginning last century and developed into a system making the rich richer and has no more value of trading time for dollars / Euros. With creating money from thin air, super inflation makes saving a joke and our pension funds are evaporating. Alternative health providers are not allowed to speak the truth. Vitamins and minerals are restricted and outlawed. Natural foods are seen as dangerous and raw foods like whole milk providers are hunted down. I asked myself, are these things the definition of democracy? Doesn't that looks like dictatorship? 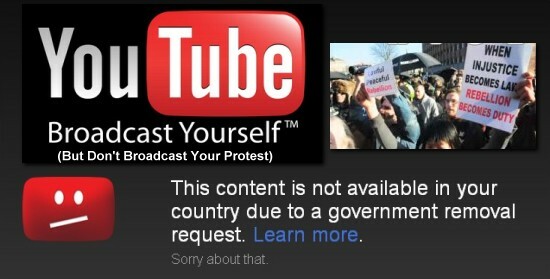 Is this the signs of a coming totalitarian government, called dictatorship? There must be many more examples you can give living there? Hitler, Stalin and Mao, those three dictators alone were responsible, direct and indirect, for the killing of 150 million people. Isn't it time we stand up and unite? Unite all over the world, the so-called 99 percent. Isn't it time WE start dictating freedom, love and peace? After World War II, witch would end all wars, there have been almost 200 coups, wars and 'peace missions' in the world. It's time 'our' leaders leave the stage to end a long dark age. And we even didn't discuss Chemtrails, HAARP, the global warming myth, the New World Order (NWO), the secret Bilderberg meetings, depopulation and ….. ? Ask yourself, who are the worst dictators? The one's everyone can see from a distance or the one's disguised as democrats?